We’d love your help. Let us know what’s wrong with this preview of Intelligence and Spirit by Reza Negarestani. The history of philosophy conceived as the elaboration of a program for artificial general intelligence; intelligence understood as the impersonal and collective evolution of a thought that constructs itself according to a view from nowhere and nowhen. In Intelligence and Spirit Reza Negarestani formulates the ultimate form of intelligence as a theoretical and practical tho The history of philosophy conceived as the elaboration of a program for artificial general intelligence; intelligence understood as the impersonal and collective evolution of a thought that constructs itself according to a view from nowhere and nowhen. In Intelligence and Spirit Reza Negarestani formulates the ultimate form of intelligence as a theoretical and practical thought unfettered by the temporal order of things, a real movement capable of overcoming any state of affairs that, from the perspective of the present, may appear to be the complete totality of its history. 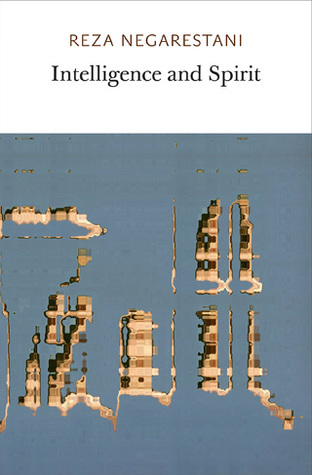 Building on Hegel’s account of geist as a multi-agent conception of mind and Kant’s transcendental psychology as a functional analysis of the conditions of possibility of having mind, Negarestani provides a critique of both classical humanism and dominant trends in posthumanism. To ask other readers questions about Intelligence and Spirit, please sign up. Reza Negarestani is an Iranian philosopher and writer, known for "pioneering the genre of 'theory-fiction' with his book" Cyclonopedia which was published in 2008. it was listed in Artforum as one of the best books of 2009. Negarestani has been a regular contributor to Collapse (journal), as well as other print and web publications such as Ctheory. On March 11, 2011, faculty from Brooklyn College Reza Negarestani is an Iranian philosopher and writer, known for "pioneering the genre of 'theory-fiction' with his book" Cyclonopedia which was published in 2008. it was listed in Artforum as one of the best books of 2009. Negarestani has been a regular contributor to Collapse (journal), as well as other print and web publications such as Ctheory. On March 11, 2011, faculty from Brooklyn College and The New School organized a symposium to discuss Cyclonopedia titled Leper Creativity. Later on in the year, Punctum books published a book with the same title that included essays, articles, artworks, and documents from or related to the symposium. In 2011, he co-edited Collapse's issue VII with Robin Mackay titled Culinary Materialism. In 2012, Negarestani collaborated with Florian Hecker on an artwork titled "Chimerization" that was included in the dOCUMENTA (13) exhibition. After being associated with the philosophical movement of Speculative Realism for several years, Negarestani is currently lecturing and writing about rationalist universalism beginning with the evolution of the modern system of knowledge and advancing toward contemporary philosophies of rationalism, their procedures as well as their demands for special forms of human conduct.